Philadelphia-based motorcycle gear retailer RevZilla is reportedly on the verge of being acquired by Cycle Gear, a national chain based in California, in a deal that would create a company valued between $400-500 million. According to Reuters, sources believe the deal will be announced in the coming days and represents a push by Cycle Gear to expand its online business with Revzilla's expertise. 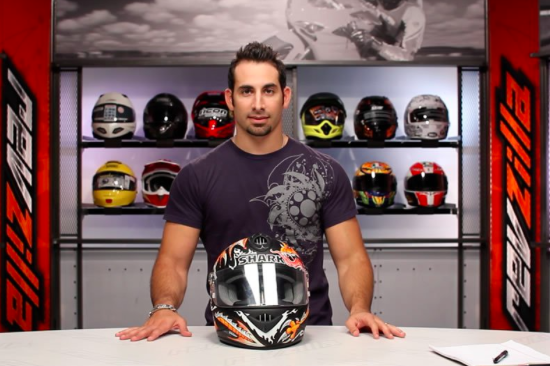 Launched late in 2007 by Philadelphia residents Nick Auger, Anthony Bucci and Matthew Kull, Revzilla established a strong foothold online through its popular YouTube channel and knowledge in harnessing e-commerce to drive sales. With more than 182,000 subscribers and 60 million views on its product reviews and motorcycling videos, RevZilla's YouTube presence would instantly bolster Cycle Gear's brick-and-mortar foundation. The company set out initially to become the "Zappos of motorcycles." Cycle Gear, which has more than 100 stores in 34 states, was acquired by J.W. Childs from private equity firm Harvest Partners in January 2015. At one point, RevZilla had a physical location in Queen Village, but later moved its headquarters to a warehouse in the Navy Yard, where it now has a showroom at the Commerce Center. On its e-commerce platform, RevZilla offers apparel, gear and parts for dirt bikes, ATVs, sport bikes, and street bikes. In an interview with PhillyMag last July, RevZilla CEO Anthony Bucci said the company set out to replicate the success of other Philly-born businesses like Urban Outfitters, Five Below, First Round Capital and Monetate. We wanted to build a business in Philly because we’re Philly guys. We believe there’s great talent in Philly and we think it gets overlooked, especially in the digital landscape, where you hear about Austin, New York, Silicon Valley and Boston all the time...To have people talk about us as an amazing startup story from Philly is very humbling and makes us feel great. If the deal is completed, it's not clear what future role Bucci, Auger and Kull will have with Cycle Gear. RevZilla, which now has approximately 200 employees, was named "Emerging Business of the Year" by the Greater Philadelphia Chamber of Commerce in 2012 and "IT Innovator of the Year" by the Greater Philadelphia Alliance for Capital and Technology in 2014.